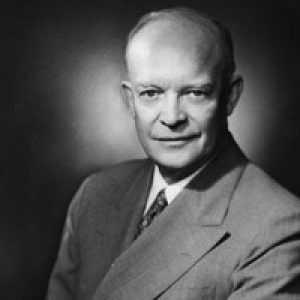 President Dwight Eisenhower and President Abraham Lincoln share something unusual in common. Neither had the support of family or friends when they ran for president. No one in Lincoln’s family voted for him. And no one in Eisenhower’s home town of Denison, Texas voted for him. Though both lacked the moral support of family and friends, both won their presidential elections. Good news! Lack of support from family, friends or bosses does not dictate your fate! Lincoln and Eisenhower won because they sold big ideas not themselves. 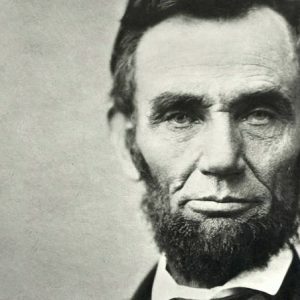 Lincoln promoted the end of slavery. Eisenhower promised to stand up to the communists as commander-in-chief. Are you feeling like no one believes in you? Learn from Lincoln and Eisenhower. Identify something bigger than yourself. Something of importance that will add value to lots of people. The acceptance and appeal of that one big idea will raise your measure in everyone’s eyes. The leader did not believe in me. I could have gotten mad. Or I could have quit. But instead I sought out a better way to account for costs and improve decision-making. I found it. It was new. It’s called Activity-Based Costing (ABC). Finding and implementing that improved method resulted in Motorola’s leadership offering me a promotion in 1986. I turned it down, however, because my finding ABC opened even better career opportunities. Find and promote something bigger than yourself and then people will believe in you.